Sorry to have been slacking on getting my weekly shopping posts up lately. Life has been very busy and I meant to get this shopping trip up on Sunday but Justin surprised with me with a little day trip to Sea World. If you didn't know yet, I am a Sea World freak and I would spend all day in the penguin exhibit if Justin would let me. Anyways, I had a pretty good trip to Publix on Saturday. The Publix right next to my house has been under renovations so it took me forever to find everything and a few of the deals I was hoping to get weren't in stock but oh well. 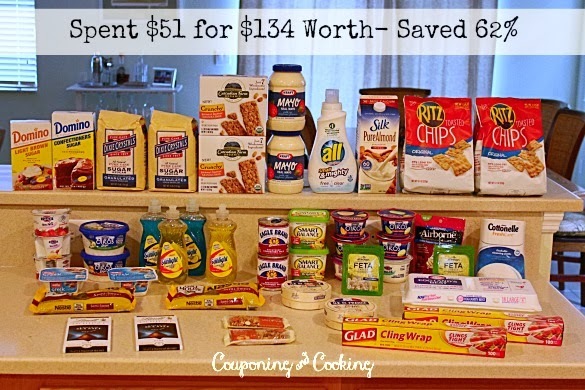 I did start to grab some of the great baking product deals we see during the holidays. Those sales should pick up in the next few weeks but I figured I would get a few things while the prices were decent. This trip was a little higher than usual since it had been over a week since I shopped and since I grabbed a few higher priced "treat" items. I used two $5/$30 Winn Dixie coupons in two transactions as usual. We also picked up our biweekly produce share last Tuesday so I was able to not have to buy anything in that department. Our share was huge so we will be set for this week as well. Here's what we got this week: Red Bell Peppers, Green Beans, Garnett Sweet Potatoes, Green Kale, Hass Avocados, White Mushrooms, Red Butter Lettuce, Cucumbers, Red Radishes, Mini Roma Tomatoes on the Vine, Green Onions, Tiny Crimson Gold Apples (so cute! ), Bartlett Pears, Gala Apples and Bananas. New to couponing? Check out my Couponing 101 series for information on how to get started, where to find coupons, couponing lingo and so much more!